In all Sati yoga practices, one of the main aim is to develop mindfulness of body and breath. In asana practice, we are mindful of the body, and particularly of the joints and muscles that are involved in the posture we are working with. We first simply bring our awareness to these, exploring the sensations created by the posture with a focused, receptive attention. Later on, we learn to actively use this focused attention to create softness or firmness as required. 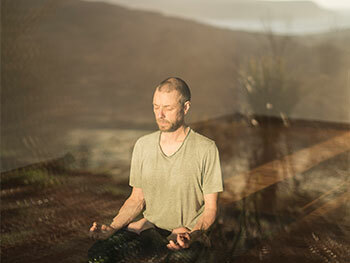 In asana practice, we are also mindful of the breath. This constant awareness of the breath in asana work fosters an understanding of the relationship between the breath and the body. As this understanding deepens and we learn to work with the breath to affect the body and with the body to affect the breath, asana practice and pranayama practice support and enrich one another. The practice of Surya Namaskar is an essential tool to do this, and this one of the main reasons why this practice is taught very early on in the Sati yoga approach. Through the practice of Surya Namaskar, students develop an understanding of the relationship between breath, body and movement (Vinyasa). Mindfulness of the breath is also developed in sitting meditation and therefore, Anapana sati practice is taught early, as it is by observing it patiently and consistently that we gain insight into the working of our own breath. Later on, through the practice of Pranayama (controlled breathing), we (re)train the breath, freeing it up by undoing unhelpful patterns of breathing and learning new, more efficient ones. Another crucial element in Sati yoga practice is the importance of balance. Balance (the middle way) is making sure that no aspect of the practice is developed to the detriment of others. For example, in Sati yoga, asana practice always seeks to develop strength (stability) and flexibility (ease) together. Without flexibility and ease, strength easily becomes tension, while without stability and strength, flexibility can turn into dullness or heaviness. So keeping these two opposites in balance is essential to continue progressing in our practice. In asana work, this is achieved through a balanced mix of poses and counter poses. In Pranayama, we seek a balance between heating and cooling practices, calming and energising Pranayama, while taking into account the season and the general condition of the practitioner. Balance is also a concern when devising and developing a practice. All limbs of yoga must be developed together as practising only a portion of what is meant to be a complete system leads to an unbalanced practice. This is one of the reason why ethical, meditative and breathing practices are introduced early on alongside asanas and kryas.